Glenn Murcutt (born July 25, 1936) is arguably Australia's most famous architect, although he was born in England. He has influenced generations of working architects and has won every major architecture award of the profession, including the 2002 Pritzker. Yet he remains obscure to many of his Australian countrymen, even as he is revered by architects worldwide. Murcutt is said to work alone, yet he opens his farm to professionals and students of architecture every year, giving master classes and promoting his vision: Architects thinking locally acting globally. Murcutt was born in London, England, but grew up in the Morobe district of Papua New Guinea and in Sydney, Australia, where he learned to value simple, primitive architecture. 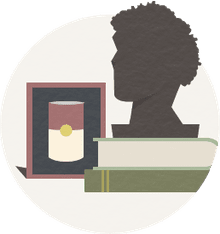 From his father, Murcutt learned the philosophies of Henry David Thoreau, who believed that we should live simply and in harmony with nature's laws. Murcutt's father, a self-sufficient man of many talents, also introduced him to the streamlined modernist architecture of Ludwig Mies van der Rohe. Murcutt's early work strongly reflects Mies van der Rohe's ideals. From 1956 to 1961, Murcutt studied architecture at the University of New South Wales. After graduation, Murcutt traveled widely in 1962 and was impressed by the works of Jørn Utzon. On a later trip in 1973, he remembers the modernist 1932 Maison de Verre in Paris, France, as being influential. He was inspired by the Californian architecture of Richard Neutra and Craig Ellwood, and the crisp, uncomplicated work of Scandinavian architect Alvar Aalto. However, Murcutt's designs quickly took on a distinctively Australian flavor. The Pritzker Prize-winning architect Glenn Murcutt is not a builder of skyscrapers. He doesn't design grand, showy structures or use flashy, luxurious materials. Instead, the principled designer pours his creativity into smaller projects that let him work alone and design economical buildings that will conserve energy and blend with the environment. All of his buildings (mostly rural houses) are in Australia. Murcutt chooses materials that can be produced easily and economically: glass, stone, brick, concrete, and corrugated metal. He pays close attention to the movement of the sun, moon, and seasons, and designs his buildings to harmonize with the movement of light and wind. Many of Murcutt's buildings are not air-conditioned. Resembling open verandas, Murchutt's houses suggest the simplicity of Farnsworth House of Mies van der Rohe, yet have the pragmatism of a sheepherder's hut. Murcutt takes on few new projects but is intensely devoted to what he does, often spending many years working with his clients. At times he collaborates with his partner, architect Wendy Lewin. 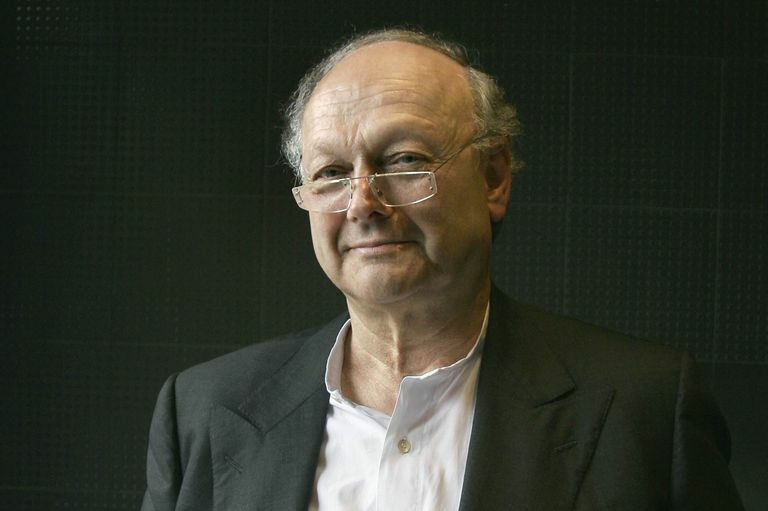 Glenn Murcutt is a master teacher; Oz.e.tecture is the offical website of the Architecture Foundation Australia and the Glenn Murcutt Master Classes. Murcutt is proud to be the father of the Australian architect Nick Murcutt (1964–2011), whose own firm with partner Rachel Neeson flourishes as Neeson Murcutt Architects. The Marie Short House (1975) is one of Murcutt's first homes to combine modern Miesian aesthetics with Australian wool shed practicality. With skylights that track the overhead sun and a galvanized corrugated steel roof, this elongated farmhouse on stilts takes advantage of the environment without harming it. The National Park Visitors Centre at Kempsey (1982) and the Berowra Waters Inn (1983) are two of Murcutt's early nonresidential projects, but he worked on these while honing his residential designs. The Ball-Eastaway House (1983) was built as a retreat for the artists Sydney Ball and Lynne Eastaway. Nestled in an arid forest, the main structure of the building is supported on steel columns and steel I-beams. By raising the house above the earth, Murcutt protected the dry soil and surrounding trees. The curved roof prevents dry leaves from settling on top. An exterior fire extinguishing system provides emergency protection from forest blazes. Architect Murcutt thoughtfully placed the windows and "meditation decks" to create a sense of seclusion while still providing scenic views of the Australian landscape. The Magney House (1984) is often called Glenn Murcutt's most famous house as it integrates Murcutt's elements of function and design. Also known as Bingie Farm, the architectural masterpiece is now part of the Airbnb program. The Marika-Alderton House (1994) was built for the Aboriginal artist Marmburra Wananumba Banduk Marika and her English husband, Mark Alderton. The house was prefabricated near Sydney and shipped to its location in the unforgiving Northern Territory of Australia. While being built, Murcutt was also working on the Bowali Visitors Centre at Kakadu National Park (1994), also in the Northern Territory, and the Simpson-Lee House (1994) located near Sydney. Glenn Murcutt's more recent homes from the 21st century are often bought and sold, somewhat like investments or collectors' items. The Walsh House (2005) and the Donaldson House (2016) fall into this category, not that Murcutt's care in design is ever diminished. The Australian Islamic Centre (2016) near Melbourne may be the last worldly statement of an 80-year-old architect. Knowing little about mosque architecture, Murcutt studied, sketched, and planned for years before the modern design was approved and built. The traditional minaret is gone, yet the orientation toward Mecca remains. Colorful rooftop lanterns bathe interiors with colored sunlight, yet men and women have different access to those interiors. Like all of Glenn Murcutt's work, this Australian mosque is not the first, but it is architecture that—through a thoughtful, iterative process of design—may be the best. "I have always believed in the act of discovery rather than creativity," Murcutt said in his 2002 Pritzker acceptance speech. "Any work that exists, or which has the potential to exist, is related to discovery. We do not create the work. I believe we, in fact, are discoverers." Upon learning of his Pritzker award, Murcutt told reporters, "Life is not about maximizing everything, it's about giving something back—like light, space, form, serenity, joy. You have to give something back." "Touch This Earth Lightly: Glenn Murcutt in His Own Words." In an interview with Philp Drew, Glenn Murcutt talks about his life and describes how he developed the philosophies that shape his architecture. This thin paperback is not a lavish coffee table-book, but provides excellent insight into the thinking behind the designs. "Glenn Murcutt: A Singular Architectural Practice." Murcutt's design philosophy presented in his own words is combined with commentary from architecture editors Haig Beck and Jackie Cooper. Through concept sketches, working drawings, photographs, and finished drawings, Murcutt's ideas are explored in depth. "Glenn Murcutt: Thinking Drawing / Working Drawing" by Glenn Murcutt. The architect's solitary process is described by the solitary architect himself. "Glenn Murcutt: University of Washington Master Studios and Lectures." Murcutt has consistently conducted master classes at his farm in Australia, but he's also been forging a relationship with Seattle. This "slim" book by the University of Washington Press provided edited transcripts of conversations, lectures, and studios. "The Architecture of Glenn Murcutt." In a format large enough to display 13 of Murcutt's most successful projects, this is the go-to book of photos, sketches, and descriptions that will introduce any neophyte to what the unwavering Glenn Murcutt is all about.